It is well known that you can always count on Stoch. The jumper has accustomed us to excellent form and good results. It seems that we can add one more customary to Stoch’s list of customs – winning in Lahti. The hill in Lahti is one of the happiest places for Polish jumpers. It was here that the Polish jumpers won the gold medal of the 2017 World Championships in the team, and Piotr Zyla won individually bronze. The jhill in Lahti is also one of the happiest, if not the happiest places for Kamil Stoch. There is even a scheme out of Stoch’s performances in Lahti. The jumper always won in Lahti in the Olympic season. In 2014, when he won all the gold medals of the Olympic Games in Sochi, then he won in Lahti. It was the same in 2018. After winning the Olympic Games in Pjongchang he won later in Lahti. Also now we can see a certain pattern. 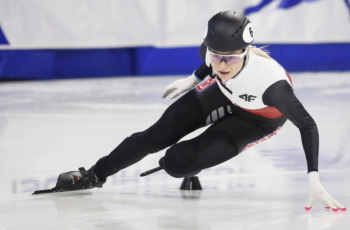 Stoch finished on the podium in Lahti also in 2017, the year before the Olympics and in the current season in 2019, the year after the Olympics. It only remains to wait until Stoch starts to win every season. For now, Stoch clearly gives his rivals a signal that he has found repetition in jumps and returns to his normal, or masterful, disposition. His win in Sunday’s competition is his second win in a row. He won in Oberstdorf last week. In the Sunday competition Stoch jumped in a different league from the others. Not even the smallest mistake has crept in. All judes were very impressed with the jumps of Stoch and gave the Pole the highest marks. In the first series Stoch jumped 132.5 meters. The second-placed Kraft landed 4.5 meters closer and lost 10 points to the Pole. It was enough for Stoch to jump in the second series decently. However, as with Stoch, Polish jumper is ambitious, and the average jump was not enough for him. Stoch jumped in the second series 129 meters, outclassing the second place winner in the competition Kobayashi by 17.2 points. 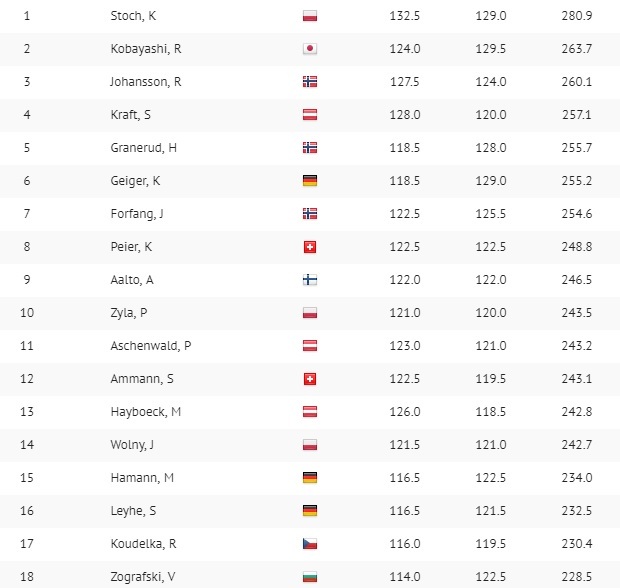 The last exquisite performances of Stoch are good prognostics on the final straight before the World Championships in Austria starting on February 20th. It looks like Stoch hit the form on time. You can probably safely say that Stoch won’t lose this good form. In the end, he is a living legend of jumps, Olympic champion, world champion, winner of the 4-Hills-Tournament etc. Masters, when they find that good form, they know how to maintain it and win tournaments. 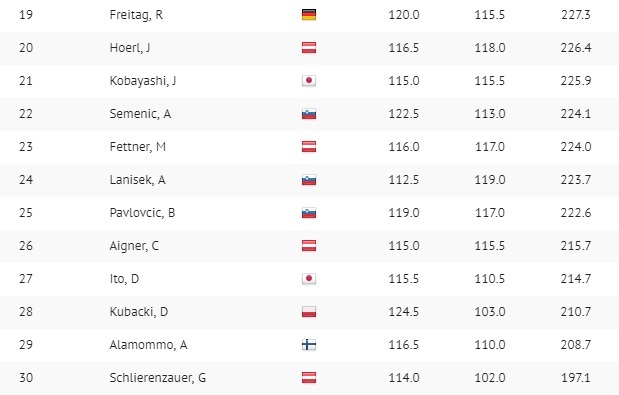 Poles in trouble before the World Championships in Seefeld!